Within the past few years, the Environmental Protection Agency (EPA) has introduced strict emissions standards in order to reduce harmful pollutants from being released into the environment. Between 2002 and 2010, mandates have reduced allowable particulate matter and nitrogen oxides released into the atmosphere by over 90%. These regulations proved difficult to meet, but Detroit engineers were successful by implementing Selective Catalytic Reduction (SCR) technology. The 1-box aftertreatment setup was developed by Detroit engineers to meet the EPA’s EPA10 emissions standards. It contains the diesel oxidation catalysts (DOC), diesel particulate filters (DPF), and selective catalytic reduction device (SCR) to ensure the air coming out of the engine is cleaner than the air going in. When exhaust exits the engine it is made up of carbon monoxide, hydrocarbons, and particulate matter. These are all harmful to the environment and must be captured in the 1-box before exiting through the exhaust outlet. The first defense after the exhaust leaves the engine is the diesel oxidation catalyst. The DOC is designed to convert the carbon monoxide and hydrocarbons into carbon dioxide and water. After the exhaust passes through the DPF, diesel exhaust fluid (DEF) is injected into the system. The DEF reacts with the nitrogen oxides in the SCR to form nitrogen and water which are both already present in the atmosphere and safe to breathe. After passing through the DOC the exhaust moves on to the diesel particulate filter. The DPF’s job is to capture the particulate matter (soot & ash) leaving the engine. Every so often the 1-box needs to burn off this particulate matter and does so in a process called regeneration. 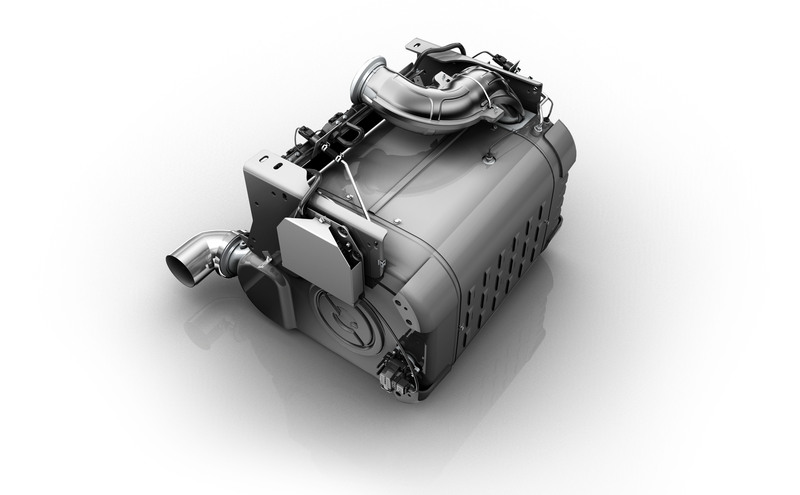 The regeneration process can either be active (DDEC sends a signal while the truck is in use to increase temperatures in the 1-box), passive (normal exhaust temperatures are used), or stationary (the DDEC notifies the driver that a regeneration is necessary. The driver begins the process while stationary and it takes about 45 minutes to complete). During the regeneration process, the soot and ash captured in the DPF is converted to a much smaller amount of ash. Not all of the ash can be burned off, so it is necessary to clean or replace the DPF’s when this ash starts to accumulate. There are many aftermarket cleaning methods available (bake & blow, etc) but the only method approved by Detroit is Detroit Reman’s proprietary liquid-cleaning process. This method uses a combination of thermal, air, and liquid cleaning to ensure that DPF’s are over 95% cleaned. Other aftermarket methods only remove between 30%-60% of ash. Improper cleaning can lead to the 1-box overheating. This may cause failure to the 1-box, which is an expensive repair. Maintaining your Aftertreatment System is easy, because we designed it that way. The Diesel Particulate Filter (DPF) collects ash and will eventually need to be replaced, but the DDEC system will alert you when filter replacement is required. In addition to proper DPF maintenance, make sure the Detroit recommended maintenance intervals are followed to ensure your Aftertreatment system is performing to its full potential. These include the following items, as well as any additional items mentioned in your Operator’s Manual. When the DPF is due for service, use the Detroit Genuine Parts Replacement program. Your DPF will be replaced with our signature Detroit Genuine Parts brand, while the old core is sent back to our factory for an extensive proprietary, environmentally friendly washing service. Detroit™ engine and axles owners enjoy comprehensive base warranty coverage, including a fast, hassle-free process and expedited parts and service for critical downtime situations. Detroit’s extended engine service coverage covers tomorrow’s costs at today’s pricing. After reviewing your base warranty coverage, consider extended service coverage for protection on engine systems and components that fit your needs and application. In addition to following Detroit’s recommended maintenance intervals, it is important to keep your engine running like new. Detroit’s StepUP Overhaul service program consists of 4 levels to ensure your engine is running like the day it came off the assembly line.